Are you approved by AAA? Yes. J&D is approved by AAA for road assistance, towing, and emergency road assistance. What if I don't belong to AAA? No AAA membership is required. J&D provides all its services to the general public as well as AAA members. Will you tow me if I do not belong to AAA? Sure. We provide all services COD to the general public. No AAA membership is required. Yes, we accept the following forms of payment: Visa, MasterCard, American Express, COMCHEk, EFS, and T-Check. We have a check approval system for local checks. Yes. We offer a 30-day warranty on labor for repairs and parts come with different warranty periods as provided by the manufacturer. As an example, Cummins’ electrical parts are warrantied for one year. Some NAPA parts are warrantied for six months and others for ninety days. ASE is short for the National Institute for Automotive Service Excellence.This independent non-profit organization has worked to improve the quality of vehicle repair and service by testing and certifying automotive professionals since 1972. Yes, our drivers are certified through by WreckMaster. They are also background-checked. Do you provide emergency road-side service? We do provide emergency road-side service, including fuel delivery, jump-starts, flat-tire assistance, and battery replacements. Give us a call today at (406) 443-4644 or 1-800-304-4644 and we will get you scheduled. 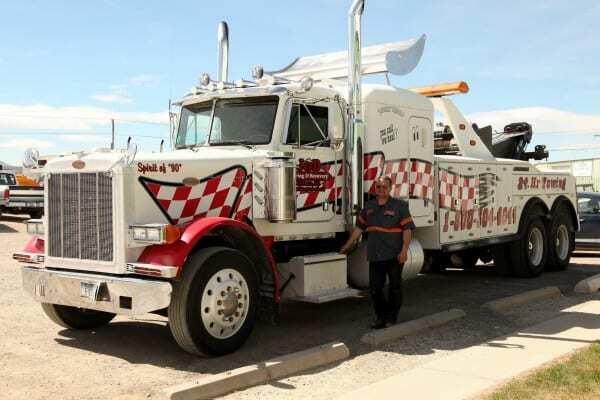 WreckMaster was created in 1991 to satisfy the towing Industry’s desire to be recognized as a skilled trade. WreckMaster constructed an educational system to work in the interest of the public and vehicle incident management. Over the last nineteen years, WreckMaster has built a solid reputation as the towing industry’s seal of excellence. Since 1991 over 30,000 towing operators have been trained. Axle Surgeons® service professionals provide high-quality mobile on-site repair technologies that have a positive financial impact on a trucking operation by reducing downtime and saving on repair costs. Rigorous training and certification in repair procedures are keys to the success of Axle Surgeon service professionals. This replacement process is for trucks, trailers, motor homes, buses, refuse route haulers, and off-road vehicles. On heavy-duty trailers, worn or damaged spider plates are replaced and custom-fitted to most makes and models, even obsoletes. Why should I choose J&D? 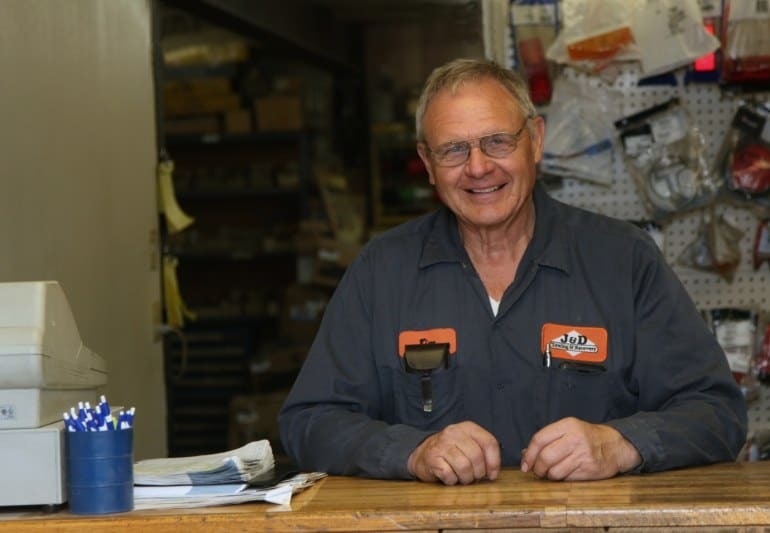 J&D has been locally owned and operated since 1981. We know that if you end up needing repairs or calling a tow truck company that you are already not having a very good day. So we believe that when you turn to Google for a tow truck driver near you and you select J&D, it is our responsibility to help make your day maybe just a little better. We pride ourselves on efficient, courteous, and patient customer service. Will my vehicle's warranty be voided if I don't take it to the dealership? You are not required to take your vehicle to a dealership to keep the vehicle under warranty. You can take your car to an independent repair shop and get the same services at a much lower price. Keep your receipts for the services performed and your vehicle’s warranty will not be voided. We understand that every day your truck is out of commission is more frustration for you. Sometimes replacement parts take longer to locate than other times and once in awhile parts must come from out of town and we cannot control shipping efficiency. We make every effort to perform repairs as quickly as possible. Maintenance can save you time and money as well as prevent inconvenient repairs. Maintenance costs are generally less than repairs. Properly maintained trucks and/or trailers will likely last longer, have fewer breakdowns, and realize a lower overall cost per mile. Maintenance tends to keep you and/or your business running smoothly and hopefully prevents you from sitting on the side of the road waiting for a tow truck. When I have an appointment, am I guaranteed that my vehicle will be worked on at that time? We work by appointment, so your wait time is kept to a minimum. However, it’s impossible to guarantee an exact time because of unknown factors that may crop up during repairs on vehicles that are scheduled ahead of yours. We do our best to adhere to the appointment times we schedule. Do you offer after-Hours vehicle drop-off? After hours, customers can label their keys in some fashion, such as putting them inside an envelope, and then drop them in the key slot located by J&D’s front door. Your keys are secure inside the building until we arrive and pick them up. Do you offer transportation while working on my vehicle? Yes, on a case-by-case basis. We do pick up and take customers to work or home while we are working on their vehicles. We pick up and deliver fleet vehicles. Sometimes we supply courtesy cars to local clientele. Our address is 789 Carter Drive in Helena, Montana. Do you work on motor homes? Yes. We work on all sizes of motor homes and RVs. 7:30 a.m. to 5:30 p.m. Monday through Friday. On call 24/7 for emergencies. Truck wheel and tire alignment. Axle Surgeon truck and trailer axle repair. Fenced yard for secure storage. Short-term storage options for emergencies. 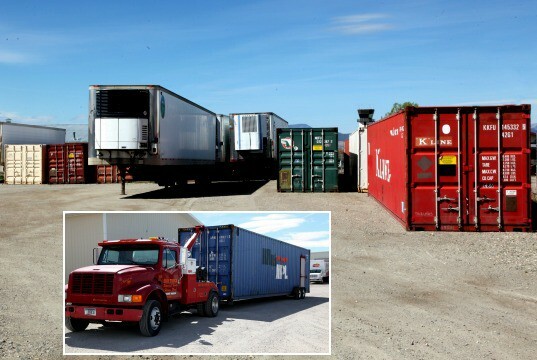 Reefer trailers for cold/frozen storage.